Tear off stamps from any post you have delivered at home. 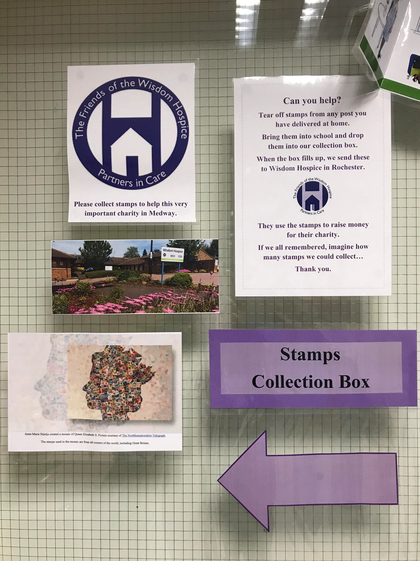 Bring them into school and drop them into our collection box. 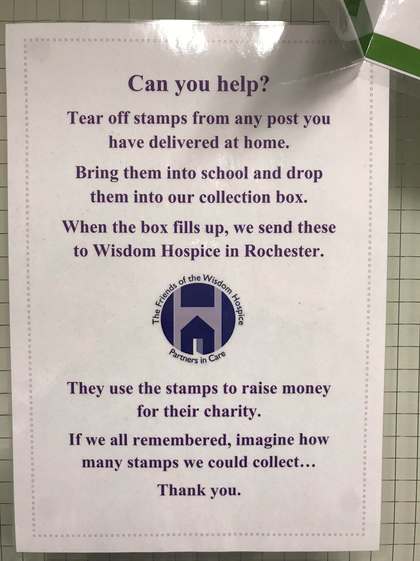 When the box is full up, we send them to the Wisdom Hospice in Rochester. Wisdom Hospice use the stamps to raise money for their charity.